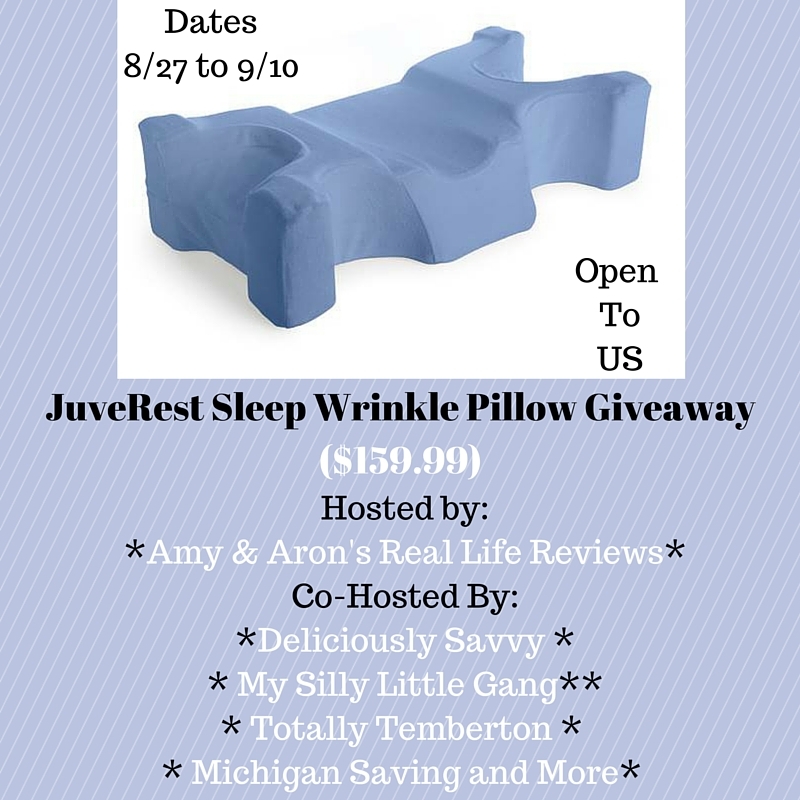 1 Lucky Winner will receive their own JuveRest Sleep Wrinkle Pillow. You can Click Here to see Amy & Aron’s Real Life Reviews review. A Shout Out to all of my Co-Hosts, I appreciate all of your hard work. A very special thank you to all of my fellow bloggers promoting this giveaway to make it amazing for all of our readers. Please remember there are bonus entries for sharing this giveaway and sponsors pages on your social media channels. I can’t ask you to “Like” our pages when you visit But if you see something you like, let us know. We LOVE it when you LIKE our page. I would give this to my friend. I would like this for myself I have such a hard time sleeping it looks wonderful to use too. Oh, I would keep this for myself! I would definitly be greedy and keep it for myself. This sounds wonderful, I would give it to me! I think I would give this to my husband to try if I won it. He has a lot of sleep issues and this pillow may help. If it doesn’t, I would happily keep it for myself. This would go to my husband if I won. He has been looking for a good pillow! I would like to keep this for myself at 50 I could use it. I would give this to me! I would give this to my husband. He would love it. If I won this prize would be for me. I had not heard of this product before, but I would like to try it. I’d like to keep it but I’d probably give it to my boyfriend. I’d like to keep it because I have a bad back and neck. But my boyfriends back and neck are worse than mine, so I’d probably give it to him. This would be for my husband, he sleeps with medical equipment and this would be such a help! This would be for me me me. I need this…BAD!